We are publishing all of Harvard’s popular CS50 Intro to Computer Science course on freeCodeCamp’s YouTube channel! We will publish one lecture each day until all 40 hours of the course - including the Game Development section - are live. Not only is this online university course completely free - it’s ad-free, too. A huge thank you to Harvard for encouraging us to share their course with the freeCodeCamp community. And thanks to @beaucarnes for working with Harvard to get these videos up on our community YouTube channel. CS50 was a big part of the original freeCodeCamp curriculum back in 2014 when I first launched freeCodeCamp.org. So in a way, we are coming full circle. CS50 is one of the most popular online courses in history. Here are some reviews of the course on Class Central - many of which have been written over the years by people in the freeCodeCamp community. I’ve created this area of the forum for us to discuss this course, its assignments, and tools like MIT’s Scratch that are used in the course as well. Where as freeCodeCamp’s curriculum is focused on practice, CS50 is focused more on theory. So I think you’ll find them to be great complimentary learning resources. I was taking CS50 in 2015, when someone posted a link to freeCodeCamp in the CS50 Facebook group. It felt like Christmas; I still have the Stanford’s Intro to CS certificate This is great, we’ll all be watching. And congrats! Thank you so much @QuincyLarson. I enrolled for the course and it’s so so great to me in understanding much of computer science fundamentals I missed . Hope everyone joins. So we will get a certificate for this? I don’t think Harvard gives out certificates for completion any more. And freeCodeCamp only gives out certifications for completing the 5 projects at the end of each section of our curriculum. 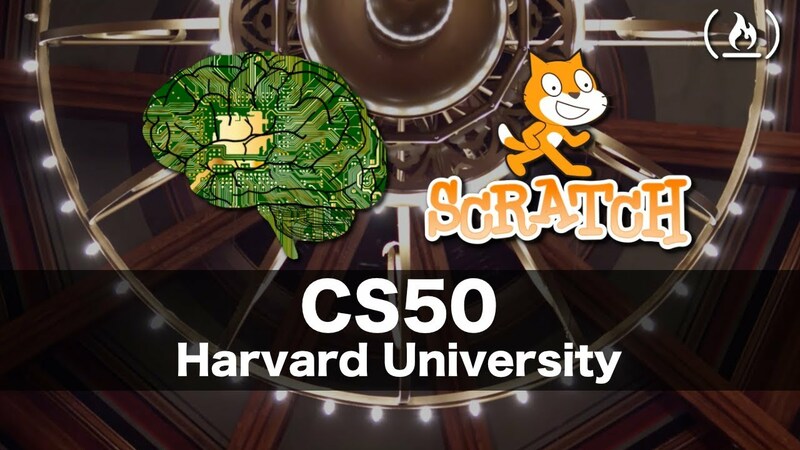 Harvard’s CS50 is a supplemental learning resource, but a very good one. @QuincyLarson I don’t want to lead anyone away from freecodecamp - you all do an incredible job! - but if someone NEEDS a certificate, you can apply for the CS50 course on edX.org and for $90 you will get a certificate when you complete the course. Although I started CS50 last year, life got involved, but I am back at it. It truly stretches the mind and gives the participant a real understanding of the theory of what is behind programming and how to think about it. If someone is looking to learn a language - this isn’t the course. But if someone want’s to know a little more about the the thought process behind the coding, I couldn’t recommend a better path. PS. I kept getting a “429 Too many requests” error when following the link in the weekly newsletter, so I think you are on to something good! I get really excited about these things many hours before people even get out of bed its late today 5:18. Thanks a bunch guys I like that we can see our progress and others can as well. When others see the actions they speak louder than words. I like this feature. In the future my vison for school is almost completely online. And the cost of school goes way down instead people pay for the skills that one aquires because they provide value where as traditional schools have been providing little to zero value for many many years. Free Code Camp is like school for people who love learning in life and not fake degrees. Its about doing for me what is the point to know if I cannot do it seems a waste of time I must learn to provide value with my time Thanks Freecode camp I plan on donating the second I make money in business with my education here. They have also lead me to many supplemental resources which are invaluable. I tell many people about this place its really great for poor people who need skills yet cannot pay for collage. I even shared you guys to the white house because people need skills this would be a perfect skill for non violent offenders in prison bro!!! All that time sitting on there asses think about it… I’m forwarding this message again to them this is a really good Idea. @QuincyLarson You can get a certificate via HarvardX at edX, but you have to pay for it. Not to take away from this post - it is fantastic that we continue to get the word out about CS50 - but that course (especially the 2018 lectures) is already on YouTube. CS50 has their own YouTube channel and I’ve already watched the CS50 course lectures (I’m on lecture 7) from that channel. I’m curious why they are being re-posted to your channel instead of just redirecting to CS50’s? Again, I don’t want to take away from this information/post. It may be that the reason it is being posted here now is he has “permission” from Harvard to endorse the course now from his own channel…which is huge if that’s the case! Love this FCC Team! Thank you. I’ve moved away from another format I was using couple years back with my students. Now this is getting even better! TY! Maybe I can get the State of TN to recognize this as a state endorsed certificate program now! Been at it for a couple of years…they continue with another certificate program that’s mediocre…so impressed by this today! This is correct. One of the main goals of our ad-free YouTube channel is to raise awareness of all the amazing resources out there. Many of these videos on Harvard’s channel only had a few thousand views, and we can help bring them to a larger audience. Thanks a lot. its will incrasing our knowladge even if we are from CS Degree from other university. How does one enroll in this course? I watched the first lecture today and I would love to take the class with others on a one-lecture-per-week basis and complete the associated “homework” along with some other folks. Is there a way to do this, either through freecodecamp or another group?! Thanks @QuincyLarson for continuing to share resources, encouragement and support! For those of you who are interested in enrolment and certification for this course, you can sign up and complete the course via the edX.org website. Thanks, Quincy! I can see how it makes sense to have a “link probation”, good call. Thanks, @QuincyLarson this is great! Hi @andrewpaulyd, I singed up for this course by searching online learning Harvard (sorry, I apparently can’t post a link here since I’m new to FreeCodeCamp (tried, but couldn’t)), but you can easily find the course just by googling it. I chose the free (no certificate path)…I started watching the first video today. Really like the guy. I will be going at at rather slow speed, since I’m doing also other things, but I think I should be able to do one lesson per week. I am interested in working together/supporting each other if we can figure out the way to do it. I just bumped up your privileges so you can post the link now. (We get a lot of spam here, so pardon the spam countermeasure).